Are you looking for great content writers to come up with articles and posts for your blogs or websites? You can pick and choose the best writers registered with this site. Content is cheap. A 500 words post may cost you 5$. Shorter posts are available at much lesser rates, say 1.25$ per post.You spell out your writing requirement and look for good writers at the standard range before you look for better graded writers at the premium and elite levels, who will cost more. You can expect your writing to be done quickly as this site gives its writer between 3- 7 hours to come up with original content. You can pick and choose the writer most suited to your requirement. You get to rate the best and reject the others. Your rating is important for the overall rating of the writers. If you are a fair task master and not too harsh , a lot of writers will pick up your assignments and try to exceed your requirement. You can rest assured that the content will be original since it is tested for plagiarism before you get to read it. You pay only if you are happy with the article. To encourage the writers you can add a bonus, which adds to your reputation as a fair task master. If you have the time you can pick and choose the budding writers who are striving hard to enhance their status from the basic standard to the elite. Obviously, the elite charge more, so a healthy mix of standard, premium and elite writers will ensure a steady flow of top quality content for your blog or website. Even at the standard rates you will get great writers. 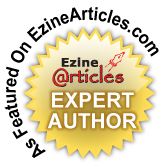 At the premium and elite levels you can be sure of getting excellent writers. You can get the best of writers from all over the world. You may get a low quality post if you are unlucky in choosing a basic writer who is cheap but not of a good quality. There are a lot of non-native English writers who throng this popular writers' site. Native English writers may not be too enthusiastic about writing here as the rates are less, at least in the initial stages when they are starting out.